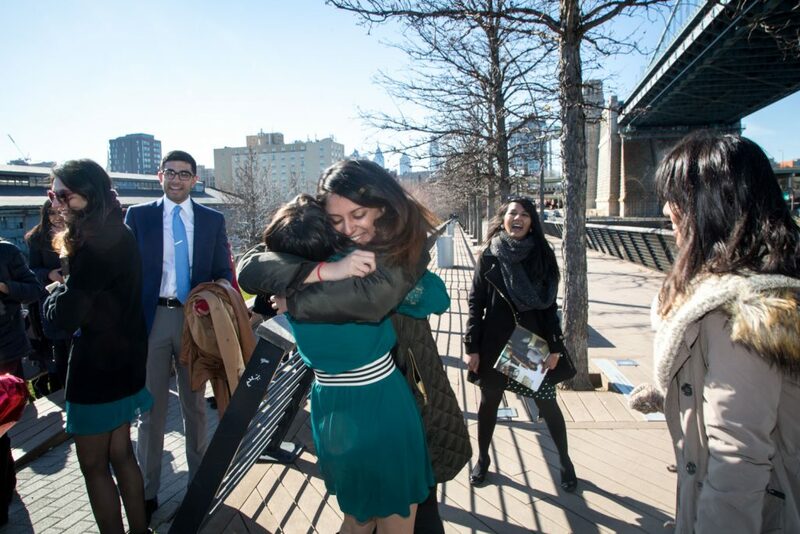 One of our favorite Philadelphia engagement ideas is proposing with the Race Street Pier as the backdrop. 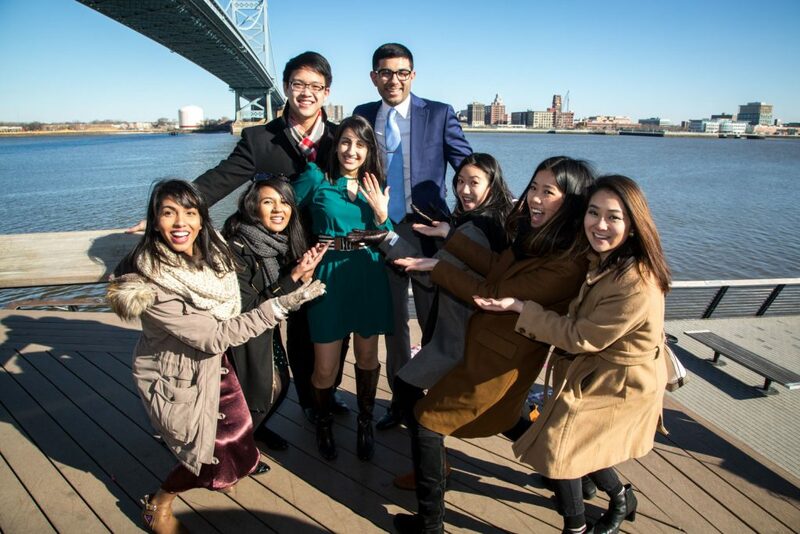 Pranav agreed with us and decided to up the ante to his proposal by including all of their family and friends! Found the one and bought the ring? Now, capture the moment. Give one of our experts a call today at 1 (888) 287-5120 for a free consultation. 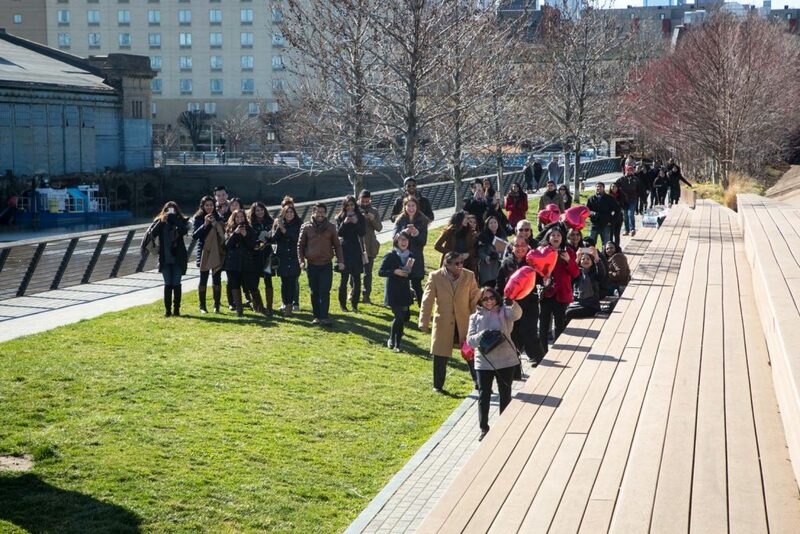 Don't let your picture-perfect moment go uncaptured. 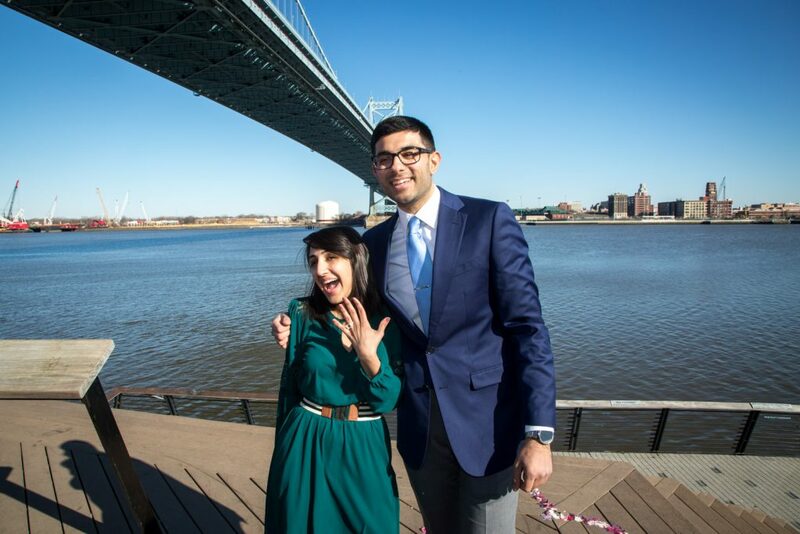 Pranav invited Koral on a romantic stroll during a beautiful day in Philadelphia at Race Street Pier, however, when she least expected, he got down on one knee and asked her to marry him! 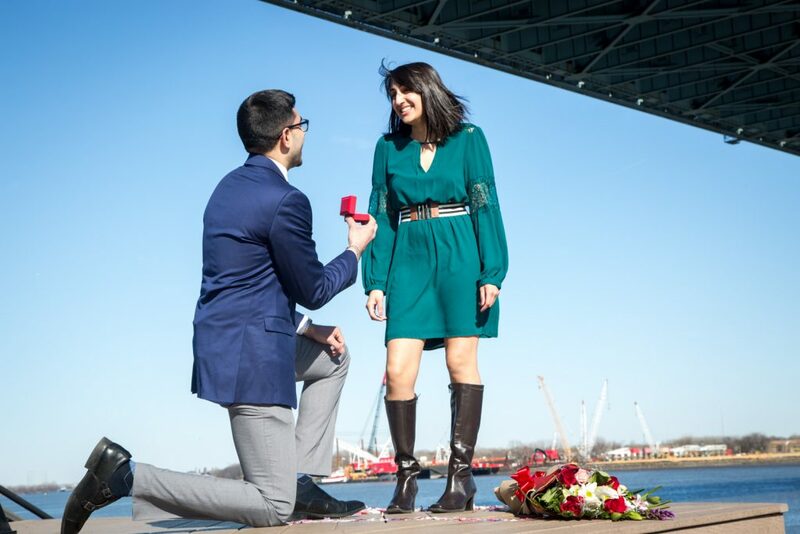 The pier served as the perfect backdrop to Pranav surprising Koral with a stunning engagement ring! Adding to the surprise, he arranged for our sneaky photographer to be discreetly hidden and capturing every moment. 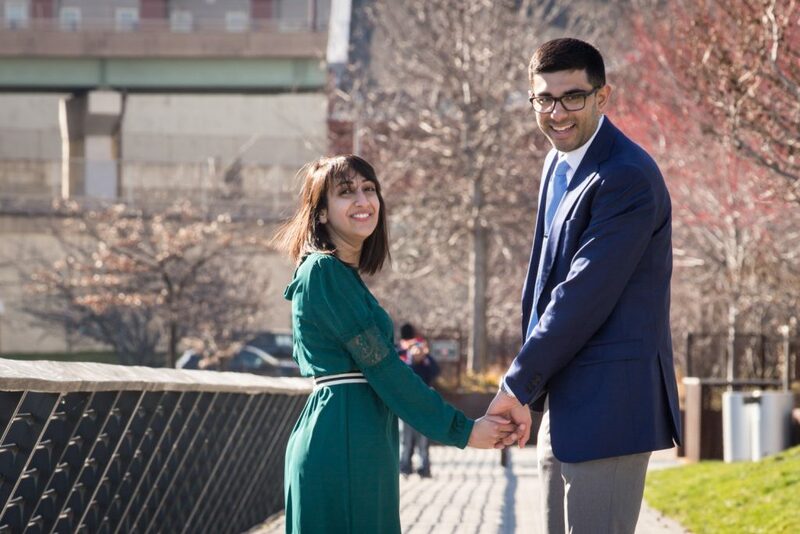 After the big, kneeling moment, our photographer revealed himself and took a beautiful portrait session of the newly-engaged couple, also including their family and friends, who Pranav arranged to surprise Koral with after the proposal. 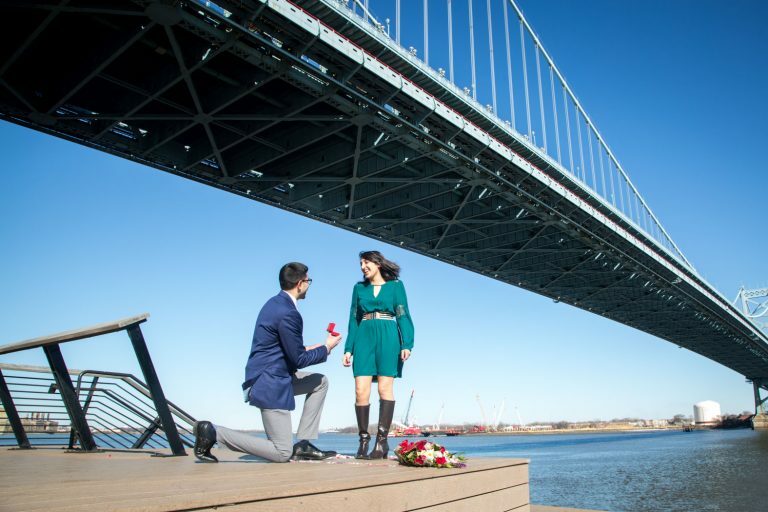 Want to read about more romantic and creative proposal ideas in Philly? Click here! And don’t forget to follow us on Instagram and Facebook for all the feel-good moments you’ll ever need. 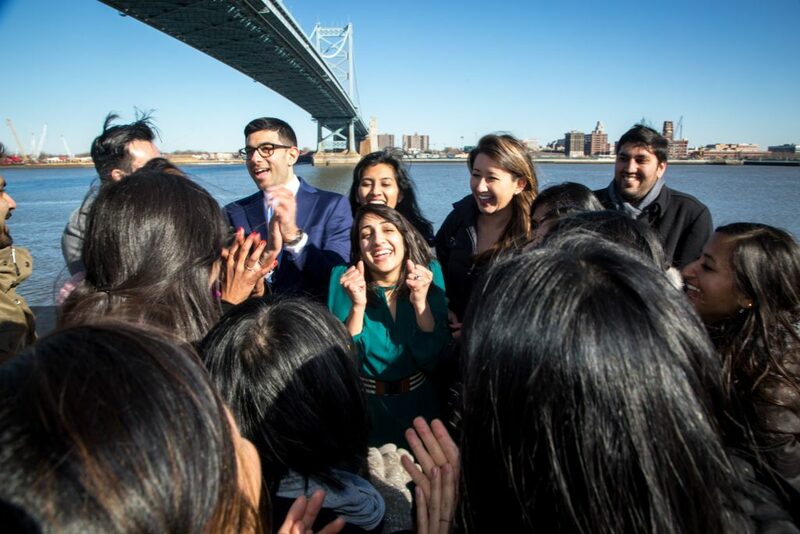 Stop waiting- start the planning! Give one of our experts a call today at 1 (888) 287-5120 for a free consultation. It will be once-in-a-lifetime, captured forever.